After four seasons on the air, it’s time to say goodbye to Hannah Montana. 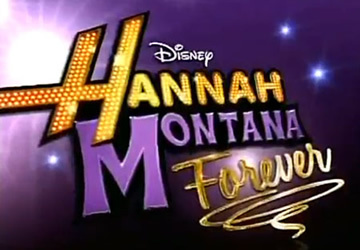 The last episode’s titled “Wherever I Go.” As Miley Stewart (Miley Cyrus) graduates high school, she must decide whether to go to college or to make a movie. Brooke Shields (as Miley’s mother), Dolly Parton (as Miley’s Aunt Dolly), and Vicki Lawrence (as Mamaw) are all rumored to appear. What do you think? Do you plan on watching the finale? More about: Hannah Montana, Hannah Montana: canceled or renewed? u really think she did that. ITS amazing what u can do with a computer . I have watched all your episodes since the 1st one they are soooooo good,its sad to see you go and i will miss your shows and you! I dont know what im going to do without hannah montana! I let my kids watch until you went crazy and started pole dancing and smoking weed. Hannah Montana Forever was the cutoff point for us so really your show ended about a year ago as far as most of your old fan-base is concerned. Go forth now, young Hannah, and continue the Britany Spears trek. You still haven’t shaved your head and had two illigitimate kids. Time’s a wastin! Fellow Hannah Montana fans can have a good time by typing “Youtube Hannah Montana 3” into your search engine for a full length Hannah Montana 3 concert. It’s really fun, featuring great singing and outfits, and a classic performance of Miley having a great time. It has 8 songs which I bought on iTunes just in case Disney ever decides to yank the video off Youtube. I’ll only watch if hanna dies in the end. Other wise no.